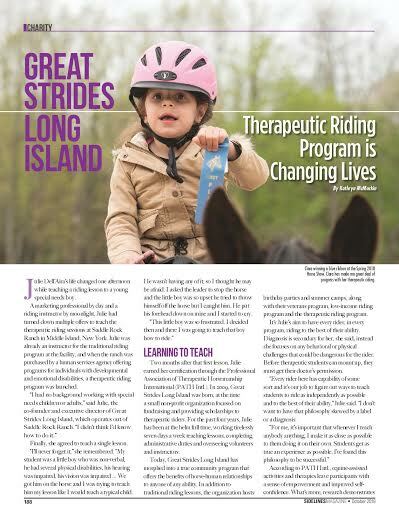 On November 14th, a press conference was held at Saddle Rock Ranch to raise awareness about the Equine Experience Veterans’ Programs offered by FREE in partnership with Great Strides Long Island. FOX 5 TV, News 12 Long Island, FIOS 1 TV and Newsday covered the event. Please click on the following link to see the news report and see the attached article from Newsday. Evening Under the Stars is a big success! On Saturday, October 6, Great Strides hosted our 10th annual Evening Under the Stars Fundraiser. 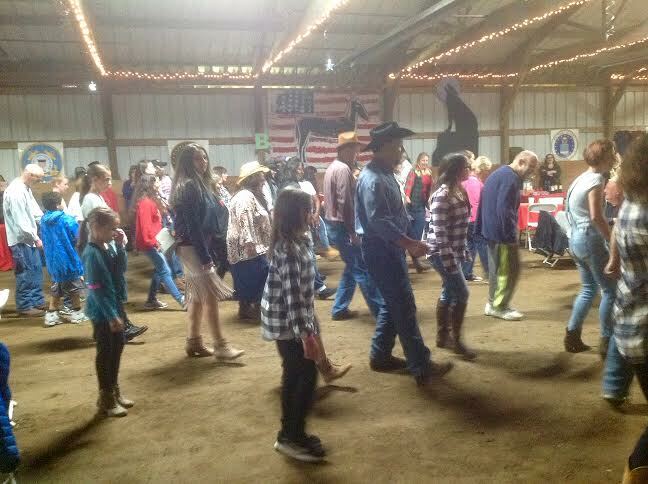 The evening featured a country dinner provided by Stop and Shop and Applebee's, live music by Johnny Zarrow, a Mustang Challenge demonstration, a therapeutic riding demonstration, line dancing and a huge Chinese auction. We had 170 people in attendance and this year ended up being the highest grossing event yet! This was in part due to the efforts of an amazing volunteer, Stacey Kaliabakos. Stacey made it her mission to garner support for our event with her family and friends. Her passion for Great Strides and perseverance, resulted in a donation of $3,500! Great Strides, our students and our horses are so grateful! We are already planning next year's event. Stay tuned! The athletes all participated in eight weeks of training at Great Strides, leading up to the horse show. They practiced equitation skills and various possible obstacles they expected to see in the obstacle course competition. The competition was tough as always but the athletes all gave it their best and the coaches were amazed at how each one stepped up their performance. 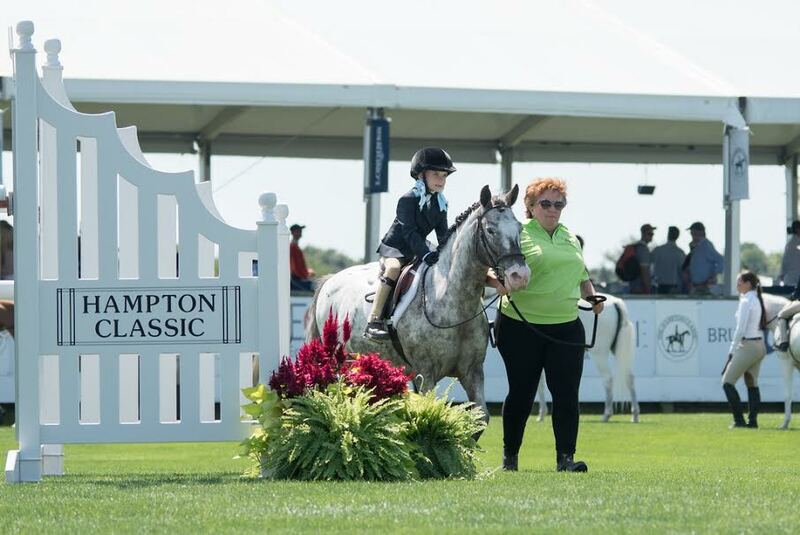 Great Strides was proud to enter our first-ever Hampton Classic competitor, Sunday, August 26. Tiphanie rode Teaspoon to a fourth place finish! Family and friends were on hand to watch the competition. It was nerve-wracking to ride in the big grand prix arena, but once in the ring, Tiphanie rode like a pro. Each competitor rode for the judge at the walk and trot. They also had to answer some questions posed by the judge. Tiphanie kept her composure and did a great job! Special thanks to Great Strides trainer, Anna Boylan and special pony, Teaspoon for their hard work preparing Tiphanie for her special day. We are all proud! Great Strides Long Island Special Olympics athletes go for the gold! On Sunday, June 24, 2018 seventeen Special Olympics athletes from Great Strides Long Island gathered at HorseAbility in Old Westbury NY to test their equestrian skills. It was a successful day for the group, resulting in twenty-one medals, nine gold, five silver and seven bronze as well as many ribbons.